What’s more fun than a wedding reception? For close friends of the bride and groom to be, the bachelor and bachelorette parties clearly beat out the reception. They also tend to be costly, especially when they take place far from most attendees’ homes. Multiday destination parties are miniature vacations, with line-item expenses to match: airfare, hotel rooms or house rentals, local transportation, meals and drinks out, and group outings and activities. In this guide, I’ll outline some of my favorite tips to save money on destination bachelor and bachelorette parties – “pre-wedding parties,” for simplicity. They’re meant for use both during the planning process and opportunistically throughout the event. Las Vegas: My own bachelor party, a two-day event. I wasn’t directly involved in planning, though I did have veto power over the itinerary and hour-to-hour input. San Diego: An old, close friend’s bachelor party. I shared planning duties with the groom’s two brothers. Colorado: An old friend’s bachelor party. I wasn’t intimately involved in the planning process, but did get some insight into how it went down. In all three cases, I used a rewards credit card to earn a return on my travel and incidental spending. It was a no-brainer: I earned 1% to 2% back on hundreds of dollars spent, mitigating the budgetary carnage. As an organizer for the San Diego trip, I floated a major group purchase on my card and collected cash from everyone before we parted ways. When I got home, I deposited the excess cash into my bank account, paid off the card balance, and redeemed my rewards for cash – nearly offsetting my personal contribution to that particular expense. If you have the opportunity to float purchases on your credit card and you trust every member of the group to pay you back, do it – it’s the definition of free money. Pro Tip: If occasional destination bachelor or bachelorette parties aren’t your only opportunities to travel, consider applying for a general-purpose travel rewards credit card that pays you back for every airfare, hotel, car rental, and local transportation purchase you make. For more options, check out our top picks in our regularly updated best travel rewards credit cards list. 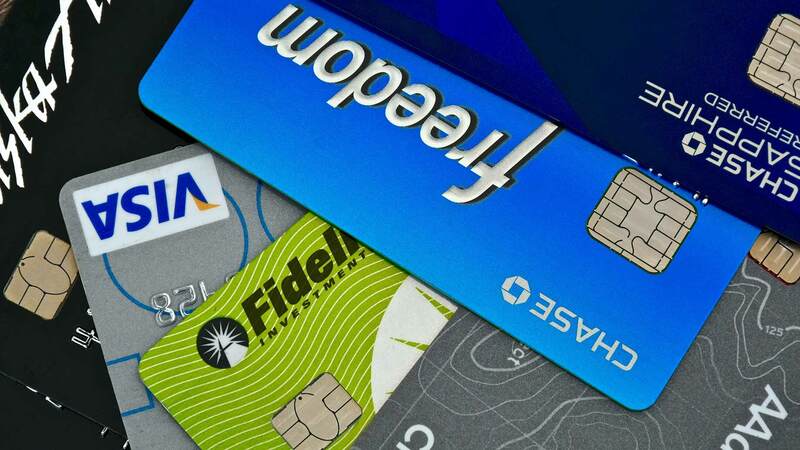 If you’re not a frequent traveler, stick with a cash back credit card. Our best cash back cards list can help you there. Racked up enough cash or travel rewards to put a serious dent in your pre-wedding party expenditures? Redeem them! Nothing is more satisfying than completely offsetting the cost of a flight with points or miles earned from months of careful spending, or using just-redeemed cash to pay for that flight directly. Pro Tip: If you have the means, you can actually make money by redeeming your points or miles against a hotel purchase. Just pay the full cost up front with your loyalty currency (or a combination of cash and currency), then ask members of the group to pay you back for their shares. You could pocket hundreds of dollars in extra cash this way. Don’t feel bad – you spent thousands to earn those points, after all. Do this after you firm up your party dates and attendance list, but before you begin planning in earnest. Awkward though it may be, it’ll prevent a lot of even more awkward – or downright contentious – issues down the road. 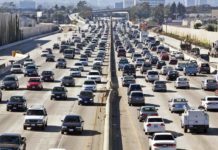 You already know that every nonlocal is going to have to pay their way to the party, whether they arrive by plane, rental car, or personal vehicle. Beyond that, you need to get a sense of attendees’ general capacity for spending on lodging, food, outings or group events, and discretionary items. You’ll need to thread the needle and broker compromises between these two groups without encouraging conflict or hurt feelings. Always remember that it’s easier for attendees of greater means to reduce discretionary spending than for cash-strapped attendees to step it up. Pro Tip: As you delve deeper into the planning process, keep your eyes peeled for specific opportunities to compromise and jump all over them. I’ve outlined some common things to watch for in the tips that follow. Pumped for a four-day destination getaway, but not sure how your group’s budget will look after? Consider a two-day jaunt instead. If you designate a convenient destination (more on that below) and plan efficiently, that should be plenty of time. Attendees who can’t easily get out of work during the week are likely to miss out on a longer swing anyway. Pre-wedding parties have more moving parts than you think, especially when they’re multiday destination events. While it’s customary for the best man or maid of honor to take executive responsibility for planning, complex outings may call for more than one set of hands on deck. You can certainly exercise veto power or reserve the right to make final decisions, but don’t be afraid to delegate discrete planning tasks or projects to other attendees whose skills or inclinations align appropriately. In My Experience: At a destination bachelor party I attended in the Denver area, the best man and primary organizer happily tasked the only locally based attendee with finding and securing a rental house for the whole group. He knew the area well and found a spacious, affordable, convenient house in an out-of-the-way location that nonlocals would probably have overlooked. Though saving money wasn’t the best man’s first motivation for delegating the house search, the decision did end up having that effect. It also had secondary benefits, including easy access to an extensive trail network. Assigning experts to handle other aspects of your trip, such as making restaurant reservations or negotiating group rates with tour guides, could pay off for you in similar fashion. This is especially important for quick-and-dirty pre-wedding parties, when every hour of travel is an hour not spent making memories. If most or all of the party’s attendees are coming in from afar, lean toward centrally located destinations served by major airports. Such destinations are more likely to have direct, low-cost air service to most or all attendees’ hometowns, saving everyone time and money. In My Experience: Location was a key consideration for my Denver-area bachelor party, which drew attendees in almost equal measure from the East Coast, West Coast, and Midwest. Everyone got a direct flight, and no one spent more than three and a half hours in the air. We’d bandied about more exotic (and potentially cheaper) destinations like Mexico or Costa Rica, but ultimately decided that we weren’t willing to endure longer travel times and multiple connecting flights. This bit of advice can conflict with the imperative to choose a central location. Lesser-known neighborhoods tend to be tucked away, or at least outside the entertainment and waterfront districts that typically attract visitors. When looking for places to stay in your chosen destination, price out transportation costs from centrally located and far-flung districts. Compare the results. Then look at your lodging options. You’re likely to find better deals on rental houses and hotels in less popular parts of town, but will your savings there outweigh higher transportation costs? One other factor to consider is convenience spending – the lifestyle inflation problem in miniature. 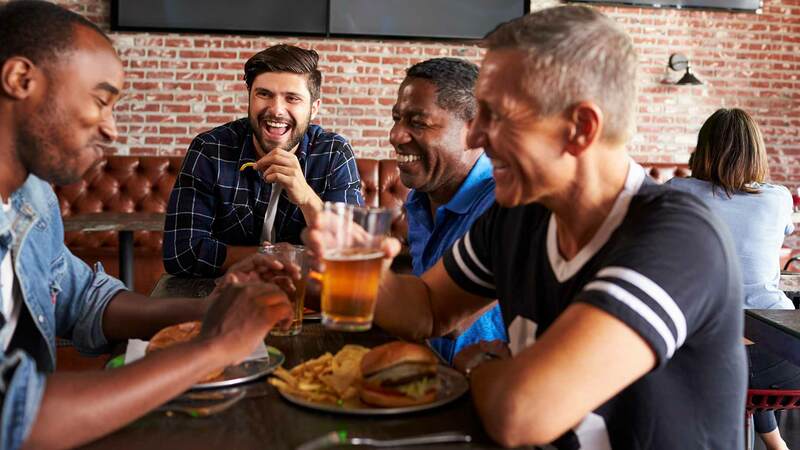 When you’re within easy walking or ride-hailing distance of dozens of tempting restaurants, bars, and entertainment venues, you’re more likely to give in to the urge to patronize them. In sheltered parts of town, the temptation to hit the town is lower – maybe you’ll have that first cocktail in the house or hotel room, rather than at the distillery you can see from your window. In My Experience: A great location makes up for lots of other shortcomings. In San Diego, we considered rental houses in a variety of neighborhoods, at a variety of price points. Ultimately, we went with a smaller, comparatively more expensive condo. Why? Because it was right on Mission Beach, an expansive swathe of sun-kissed sand fronting the Pacific Ocean. We had sweeping ocean views from the house and needed all of 20 seconds to walk from the front door to the beach. Some 15 or 20 minutes from downtown on a good day, Mission Beach isn’t the most convenient part of San Diego, and that worked to our advantage: We went out (and spent) less than if we’d been closer to the action. Some popular pre-wedding party destinations are pretty affordable. For instance, Las Vegas airfare and lodging are comparatively cheap compared with other big U.S. cities. If you can avoid the overpriced food, beverages, and shows, and stay off the gaming floor, it’s not a bad place to hold a frugal bachelor or bachelorette party. Some places are even cheaper though. If you’re set on a resort experience, consider destinations outside the United States. Three days at a beachside resort is a lot cheaper in Mexico than in Florida. Rented houses and apartments are cheaper south of the border as well, as are traditional hotels away from the water. In My Experience: Before settling on San Diego, we looked seriously at Puerto Peñasco (Rocky Point), a lesser-known beach town in the Mexican state of Sonora, on the Gulf of California’s northeastern shore. It’s small, relatively quiet, and way cheaper than California’s beach communities. Compared to what we ended up spending in San Diego, we would have saved about 50% on lodging and 20% to 30% on food and entertainment in Puerto Peñasco. The only thing that stopped us was convenience: Puerto Peñasco is a four-hour drive from the nearest major airport in Phoenix. For most of us, that meant spending the better part of our arrival and departure days on the road. Not set on a resort experience? Consider a miniature outdoor adventure vacation instead. Rent a cabin or vacation home near a state or national park and use it as a home base for day hikes. Or, if your crew is really outdoorsy, load up your packs and plot a multiday long-distance hike that hits multiple campsites in a state or national forest. Without big-city amenities like restaurants and nightclubs to tempt your team, a rustic bachelor or bachelorette party is almost certain to involve less discretionary spending than an urban or resort alternative. Outside super-popular areas, like top-tier national parks and major ski resort towns, your accommodations should be significantly cheaper too. We’re all friends here, right? Even if you value personal space and alone time, you can surely endure a couple days in close proximity to your closest pals. Choose your accommodations accordingly. For house or condo rentals on Airbnb, use the capacity test: If your group won’t approach or reach the property’s capacity, downgrade to a cozier space. Rental rates usually increase in rough proportion to capacity: All else equal, a 10-person house is going to be more expensive than a five-person bungalow. It doesn’t make much sense for a five-person group to spread itself out across a 10-person house. Every added body lowers the final per capita cost. The same logic applies to onsite amenities. If you plan not to spend much time in the house or room, skip tempting (and costly) amenities like pools, Jacuzzis, and games rooms. Focus on pragmatic features: a large-enough common area, ample seating (preferably indoor and out), a working kitchen, sufficient storage for luggage and clothing, and plenty of refrigerator space for food and beverages. If you’re staying in a hotel or resort, you’ll have to price out your room options to determine the most cost-effective strategy. With a medium-sized group, the best approach could be to squeeze everyone into a suite. Then again, amenity-rich suites are often pricier than size alone would dictate. Another cost-effective option is overstuffing a handful of close-by standard rooms and drawing straws to see who sleeps on the floor. In My Experience: In San Diego, we narrowed our lodging options down to three finalists. One had space for 16, another for 12 to 14, and a third for 10 to 12. The smallest option was in a prime location (central Mission Beach), so it wasn’t that much cheaper than the others. And it certainly didn’t have any creature comforts – it was your basic, no-frills beachfront condo. But it had a solid kitchen and was the cheapest option per capita, so we made it work with our 12-person group. We saved about $25 per person over the middle option. Scan my other travel posts and you’ll see that I’m a huge fan of this tip. Why? Because it works. Dollar for dollar, traveling during the off season (low season) is one of the most effective ways to reduce the cost of a destination vacation. Depending on your destination, trip duration, itinerary, and appetite for the finer things, you can easily save hundreds simply by moving your bachelor or bachelorette party from the high season to the low season. Off seasons vary by location. In tropical locales, they usually coincide with the rainy season, when it’s unpleasant to sit on the beach or spend much time outside at all. In temperate climes, the off season is usually synonymous with winter. I’ll fully admit that we didn’t follow this advice very well on our recent San Diego trip. We visited in April, which is the tail end of spring break and arguably the best weather month of the year in southern California. Had we gotten our act together earlier, we could have visited in February – toward the end of the region’s mild, showery winter – and probably saved $50 to $75 per person on our accommodations. That’s real money. Pro Tip: Looking for more advice on traveling during the off season? Check out my roundup of easy tips to save money planning your honeymoon. Select and plan centerpiece activities or outings, such as sporting events or pedal-pub rentals, before fleshing out the rest of your itinerary. These tend to be the most complicated and least flexible, so you’ll want to have them set more or less in stone before working other activities around them. If you need to buy nonrefundable tickets or passes up front, you don’t want to have to reschedule. Trying to resell multiple admit-ones on the secondary market is a headache you don’t need in the midst of planning the rest of your party. Some businesses are more group-friendly than others. Before you firm up plans that involve your entire group, like a dinner out or a visit to a popular nightclub, call ahead to confirm that the vendor can accommodate. The last thing you want is to upend your evening plans because the restaurant you’ve been counting on can’t seat groups of 10 or more. If the place has room for you and it takes reservations, make one on the spot. Unless your plans are flexible or you’ll be close to lots of alternative venues, be cautious about first-come, first-served joints. Resist the temptation to fill every waking hour with structured or planned activities. You’ll want to maintain scheduling flexibility to take advantage of last-minute opportunities, such as a musical performance you didn’t know was in town or a festival that piques your group’s interest. Plus, downtime is cheap – more time spent hanging out with friends is less time spent frittering away your hard-earned cash. The high point of my San Diego party came during an unstructured period, when part of the group spent a couple hours alternating between laying out on the beach and riding the waves. It cost us nothing. You don’t have to keep your brain switched off for the entirety of your pre-wedding party. You can turn it on long enough to learn a new skill or have a miniature adventure with your pals. Look for low-cost educational opportunities near your temporary home base. In San Diego, we strongly considered a group stand up paddle boarding lesson. The plan fell through only because our group was too large for the vendor we’d chosen. The knowledge you seek doesn’t have to be deadly serious either. (Not that paddle boarding is the pinnacle of erudition.) Choose something fun: learning how to brew your own beer or make your own cider, taking a cooking class, or creating your own custom pottery (preferably at a shop that allows outside beverages). Group lessons usually aren’t free, but they’re likely cheaper per person than a fancy restaurant meal or multi-hour bar hop. Replace a rowdier activity accordingly. 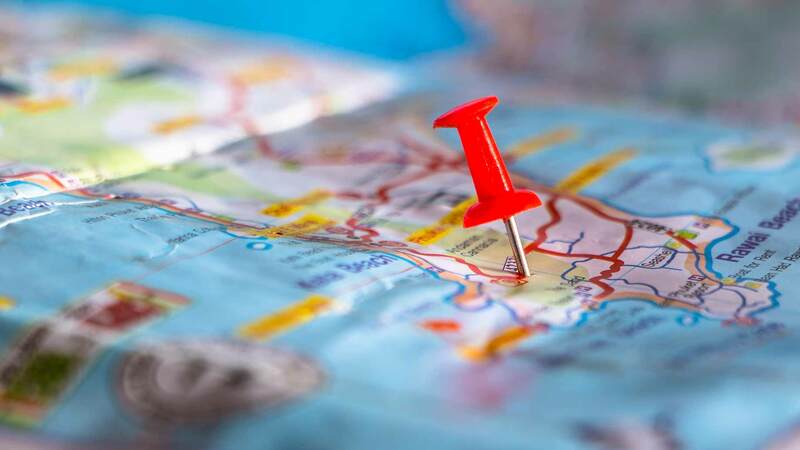 As always, keep your eyes peeled for opportunities to reduce the cost of your activity with social coupons, travel bureau discounts, or special group rates. If you’re staying at a popular resort with a pool or beach access, it might offer cabanas for rent. For revelers planning an all-day stay by the pool or ocean, cabanas are tempting: They’re fully shaded, outfitted with comfy seating, usually equipped with fans or misters, and often hooked up with impressive entertainment systems. Plus, they’re priorities for pool- or beachside service staff, so your next drink or bite is never more than a wave away. The problem with cabanas is that they’re extremely expensive, even when split among a large group. At my own bachelor party in Las Vegas, we rented a poolside cabana for the afternoon only and still spent upwards of $500 among 10 guests – $50 per person. That was almost the bare minimum we could have spent: We were required to pay something like $450 for the cabana or spend the same on overpriced food and drinks and get the rental for “free.” I distinctly recall agonizing over the cheapest, most cost-effective beverage options to stretch our dollars further, only to come to the conclusion that there were no good options. Don’t get me wrong, relaxing by the pool or ocean is great; just do it without the cabana. Your party’s unstructured periods shouldn’t be your group’s only opportunity for free or cheap fun. During the planning phase, look for low-cost activities near your home base: parks, zoos, museums, or galleries that don’t charge admission fees. If a visit to a free or cheap art museum is too highbrow for your crew, do something fun outdoors. In San Diego, we spent plenty of time walking the crowded boardwalk at Mission Beach. It was a great way to get a feel for the neighborhood’s people and culture – and get some sun in the process. Later, we headed out to Balboa Park to check out the desert botanical garden, fountains, and promenade – all free. One thing we didn’t do was spend $50 a head to patronize San Diego Zoo; that just wasn’t in the cards for the group’s budget-conscious contingent. 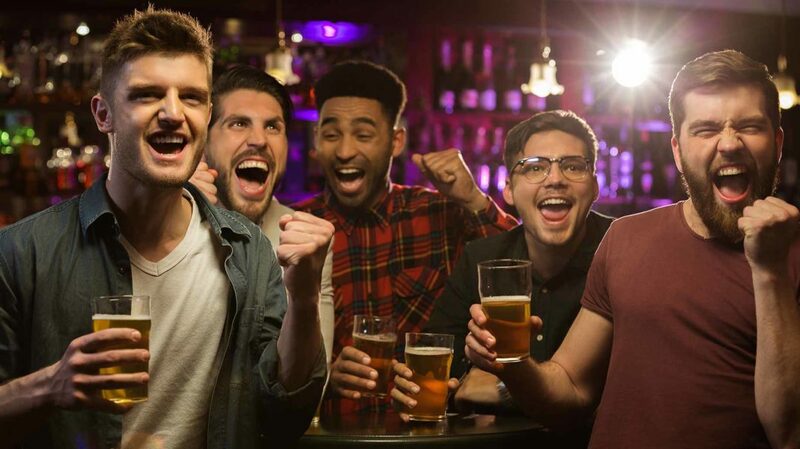 If you’re planning a multiday bachelor or bachelorette party, concentrate your most costly plans on a single afternoon or evening (or afternoon into evening). Major league sporting event in the afternoon? Fine. Fancy restaurant meal in the early evening? Great. Musical performance or show after that? Go for it. Just establish ahead of time that this is your one day to spend freely. On previous trips and multiday social events, I’ve found that confining big-ticket spending to a single period of six or eight hours is a great way to bolster fiscal discipline outside that period. 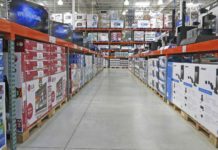 If my experience is common, you should find it easier to embrace the frugal tips I’ve outlined here before and after your splurge day. Every bachelor party I’ve been to has involved at least one sit-down restaurant meal. Yours can too, perhaps on splurge night. What about other nights – and days? It’s easy to follow the path of least resistance and eat every meal out, especially if you’ve plotted an active itinerary. But paying restaurant prices three times a day is not a recipe for a frugal pre-wedding party. Same goes for post-dinner (or afternoon) imbibing: There’s no better way to drain your entertainment budget than spending hours hopping from bar to bar. Counter-Service Joints and Food Trucks. Sure, you won’t get a perfectly cooked filet mignon from a food truck or hole-in-the-wall counter-serve restaurant, but your wallet won’t mind. Some of the best food I’ve had at bachelor parties (and in my other travels) has come from unassuming sources. In San Diego, my personal favorite was Oscars Mexican Seafood, a multilocation counter-serve restaurant with zero frills and astoundingly tasty breakfast burritos starting at $4. Grill Out. If your place has a grill, or access to a public grate, take advantage (weather permitting). Don’t be afraid to elevate: High-end cuts of meat are a lot cheaper at the grocery store or butcher shop than at the four-star restaurant. Make Your Own Cocktails. Why pay $15 for a fancy lounge cocktail when you can make a passable facsimile for $3 or $4? Buy your own mid-shelf liquor, park the best amateur mixologist in the group at the house bar, and have your own private cocktail party. With fewer drinks to buy, your post-party night out will be a lot less expensive. Divide Up Cooking Responsibilities. Why limit meals at home to a single grilling session? Before you arrive, poll the group for meal ideas, choose the most popular, or cost-effective (hopefully both), and assign two or three people to prepare each. Interactive, scalable meals, such as tacos and pizza, work well for larger groups. 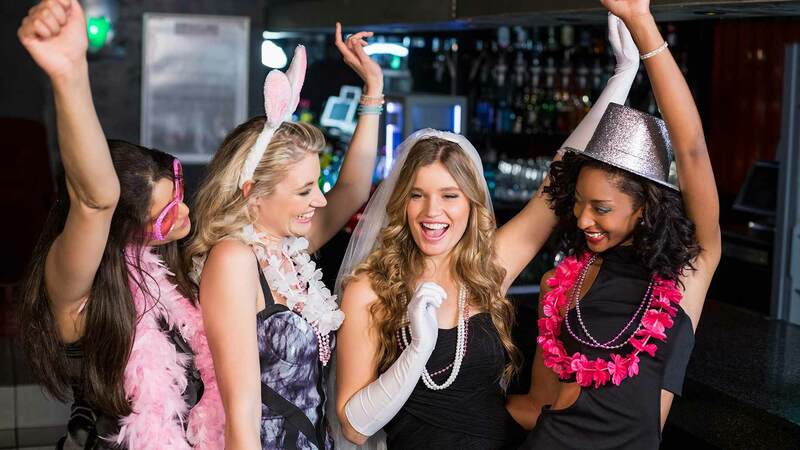 Pro Tip: Need to rightsize your budget after a blowout bachelor or bachelorette party? Check out our post on the top 10 ways to save money eating out at restaurants. Some popular pre-wedding party destinations are also popular gaming destinations. Las Vegas comes to mind. If you take your party to Vegas and follow my advice to stay in a central location, you’re more likely than not to make one of the many Strip or downtown casino-resorts your home base. That’s fine, because those resorts have hundreds or thousands of available rooms with ample space for extra guests. (We packed five people into double-occupancy rooms at my bachelor party.) And it’s super easy to find discounts and deals that reduce your per-night costs. One thing my crew didn’t do in Vegas is gamble. It wasn’t hard to resist. Eating and drinking out was expensive enough, we reasoned. Why would we want to throw more money away on a transient thrill? If you’re traveling with people who do enjoy gambling, consider compromising on a low-stakes poker night in your house or hotel room. Management won’t ply you with free drinks, but the odds are that you’ll come out the other side with a fatter, happier wallet. Pre-wedding parties are all about the bride or groom to be. As long as you plan festivities that jive with the honoree’s wishes, you can’t go wrong. Be confident in your ability to find cost-cutting opportunities without violating those wishes and you’re guaranteed to have a memorable time that everyone involved can afford and enjoy. Have you ever planned a bachelor or bachelorette party? Are you planning one right now? Either way, what’s your favorite tip to reduce costs for attendees?